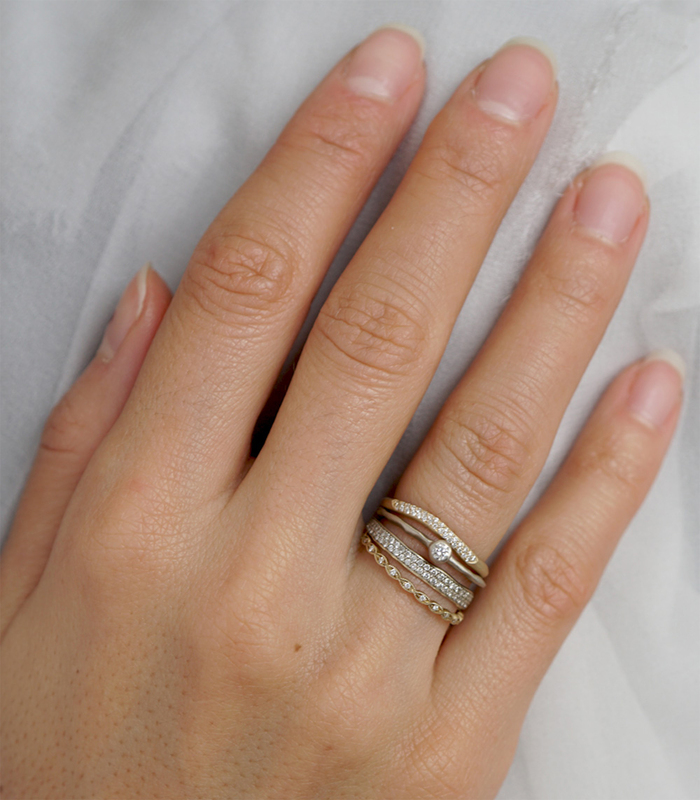 Everlasting and true, the Everly Stack shines with textures, shapes and muted finishes. 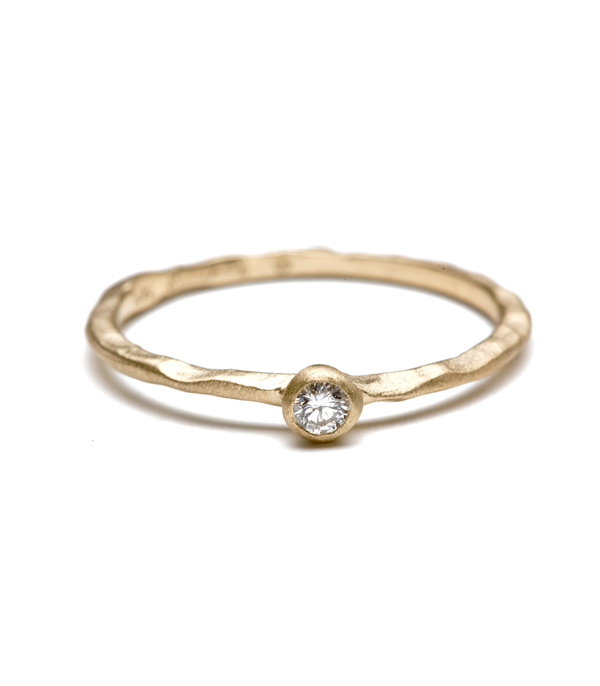 Curated for the whimsical artist, this stack plays with movement and form to create a unique and one of a kind combination. 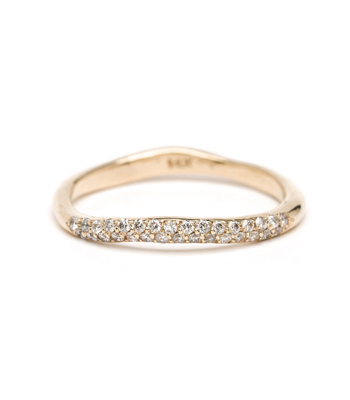 Each piece can be crafted in 14K yellow, white or rose gold with shiny or matte finishes. 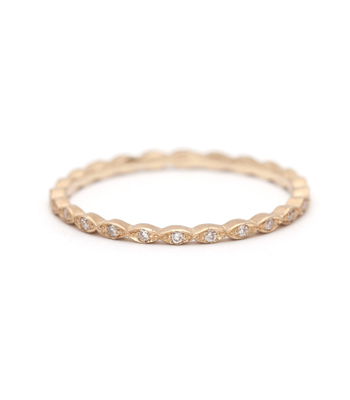 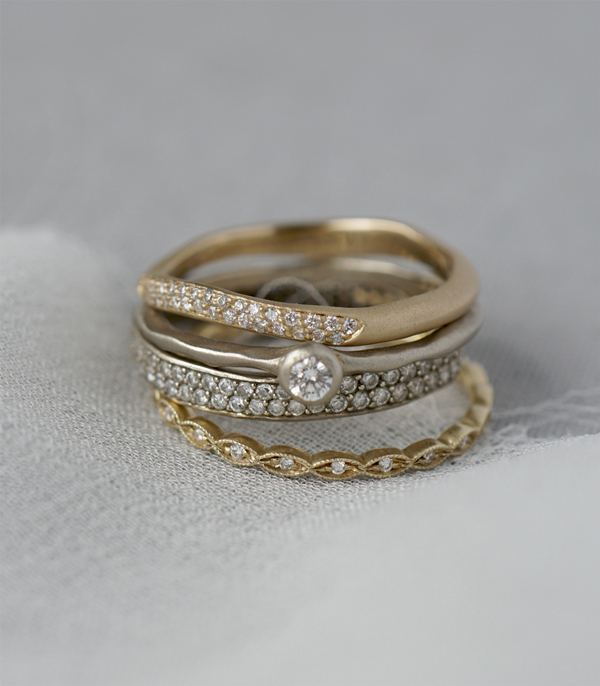 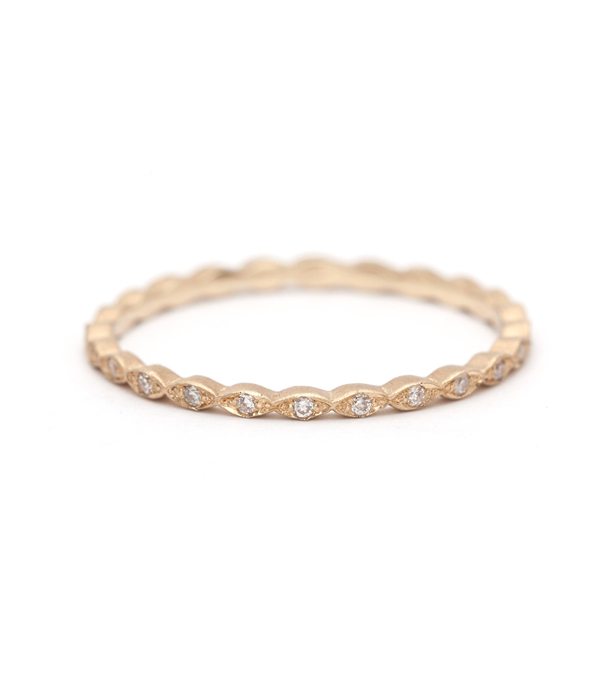 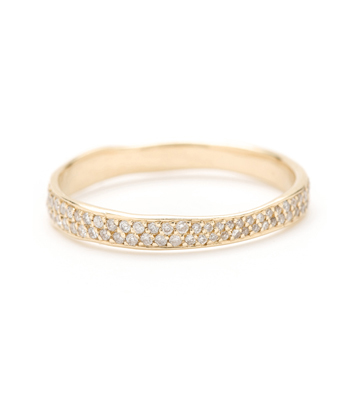 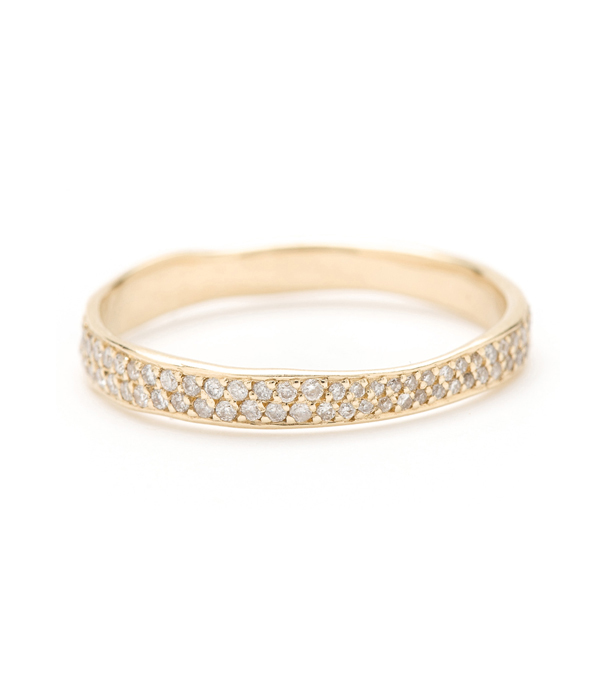 The Petite Wavy Band II with Diamonds in yellow gold sits atop the Simplicity Diamond Solitaire-Petite in white gold, followed by the Torn Paper Wedding Band with Pave Diamonds in white gold, then the Petite Marquise Pave Eternity Band in yellow gold.